President Muhammadu Buhari has frowned on the use of religion and ethnicity by some Nigerians to deceive others to either promote corruption or stand in the way of justice, saying “this is bloody nonsense”. 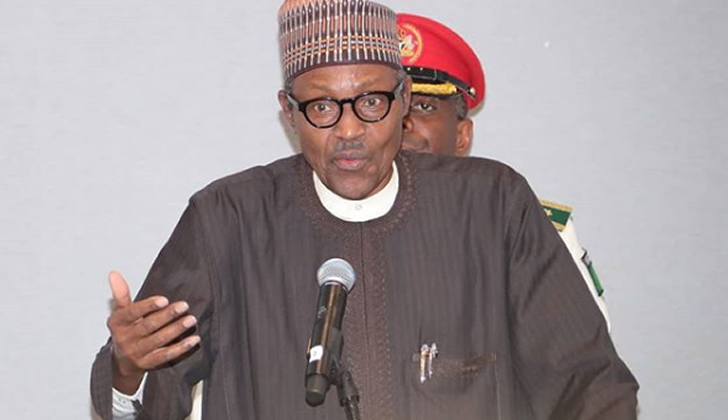 His Special Adviser on Media and Publicity, Mr Femi Adesina, in a statement on Monday, said Buhari spoke at the Presidential Villa, Abuja, on Sunday night, when he hosted former employees who worked with him during his tenure as military Head of State from January 1984 to August 1985. The ex-workers were led to the Villa by Buhari’s former aide-de-camp, Alhaji Mustapha Jokolo, an ex-Emir of Gwandu. To buttress his point that some Nigerians only use ethnicity and religion for manipulation, the President shared a story of his electoral struggles from 2003 to 2011 at the courts. He said while those who sat in judgment over his cases at the courts were fellow Muslims from the North, his lawyers were Christians from the South.